In case you can't finish this form in one sitting or you need to pause to gather information, you can save your progress by clicking the 'save and continue later' link at the bottom of the form. We need some information on each artist who will be tattooing in your booth, and get a preview of each artists work. Your booth name will be listed in the program brochure, and on the Attending Artist's Page which showcases all artists by booth. Usually this is your studio name, or a brand name if you are a vendor sponsoring artists in a booth. Are you currently licensed to tattoo in the state of Missouri? AND will it be valid in May, 2019? Yes I am licensed and will be during May, 2019. No, I will need a temporary license. Please upload 4 of your best tattoos for us to evaluate for extending you an invitation to Tattoo The Lou. These will also be used on the attending artists page. Must be high quality, in focus and either JPG or PNG file types. Max file size per image is 2mb. Is ARTIST 1 currently licensed to tattoo in the state of Missouri? AND will it be valid in May, 2019? Yes, ARTIST 1 is Licensed and will be during May, 2019. No, ARTIST 1 will need a temporary license. Is ARTIST 2 currently licensed to tattoo in the state of Missouri? AND will it be valid in May, 2019? Yes ARTIST 2 is licensed and will be during May, 2019. No, ARTIST 2 will need a temporary license. Is ARTIST 3 currently licensed to tattoo in the state of Missouri? AND will it be valid in May, 2019? Yes ARTIST 3 is licensed and will be during May, 2019. No, ARTIST 3 will need a temporary license. Is ARTIST 4 currently licensed to tattoo in the state of Missouri? AND will it be valid in May, 2019? Yes ARTIST 4 is licensed and will be during May, 2019. No, ARTIST 4 will need a temporary license. Enter anything else we need to know here. Complete this booth application form. If your application is approved – you will get an approval email with a link to proceed to step 2, where you purchase your booth. Proceed to steps 2 and 3. If your application is approved, you will get an email with a link & password to pay for your booth. You will have 7 days to make payment or risk losing your spot. All payments are non-refundable or transferrable. Next you will complete required forms. -Vendor and artist release forms- Missouri Health Department forms (tattooers only) sent to the email you provided and get the forms notarized. Once the forms are filled out and notarized they must be mailed in. 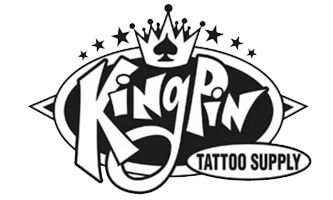 BOOTH IS NOT GUARANTEED Filling out this online application does NOT guarantee you a booth, but allows us to review your tattoo work/portfolio, studio, and more for a possible invitation to purchase a booth at Tattoo The Lou. We do NOT email applicants back unless they are to receive an invitation for a vendor booth. A single booth application requires two working artists, a double booth requires 4 and must be pre-approved.